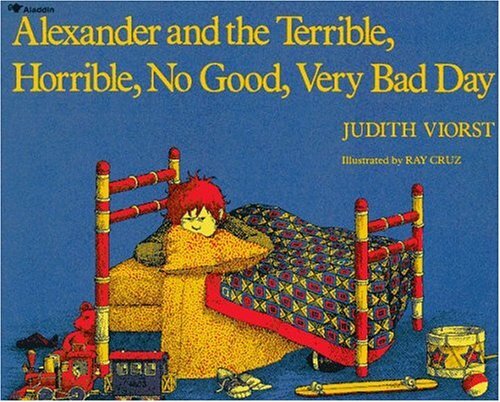 I had this book when I was a child and now every time I have a rotten day, I think of this title and it makes me smile. - Logan woke up at 7:00 am in a foul mood because... well... he woke up at 7:00 am and he needed more sleep. and then climb some more. - my back started to ache after pulling Lane off the coffee table, the couch, and everything else. She even climbed up under my sewing table! Not fun trying to fish her out of there. - there was a snowstorm the evening before and our driveway received a huge snowdrift overnight. I couldn't get up the energy to remove this snowdrift, so our regular trip to the library was canceled. - The day dragged on while we were all stuck in the house. - Terry stayed after work to say goodbye to a co-worker who was transferring to BC, so I was on my own for getting dinner for the kids. - Wanting something simple, I decided to make Mac N Cheese. I can't actually eat this stuff (it makes me barf immediately), but I was so nervous about the 2 craft shows I was going to be at on the weekend, that I couldn't eat anyway. - Around 5:00 I realized that Terry wasn't going to be home (on the bus) in time to shovel all the snow and pack my stock in the trunk and drive us all to St. Norbert to set up for the next day's craft show. - Pacemaker girl does NOT like shoveling snow! - About a block from home, I realized that I hadn't closed Lane's door and she was having a great time watching the door fly open while we were driving. Good Heavens! - I stopped the car, closed the door, shaking because of all the terrible thoughts running through my brain about what could have happened to the car and mostly, to the kids. - Stuck in traffic forever, I finally slide the car all the way downtown and pick Terry up. Since I can't really see in the dark, Terry drove. - 6:20: it's definitely too late to make it to St. Norbert, set up and get back before the kids' bedtime. Oh well, I was too tired and frustrated by that point to do anything. Time to go home. - 7:00: We are pulling into the driveway when the car completely cuts out on us! It takes 3 people to push the car up the driveway. Of course, the nice neighbour who stopped to help was a tiny women with slippery boots on. So, pacemaker girl gets out of the car and lets her steer while I use my considerable shoulder muscles to push the damn car up the driveway. Gah! My mother always told me that our shoulders were built to pull a truck out of the ditch. I guess she was right! - did I mention that as Terry was about to get out of the car to push, the doors decided to get up to their old tricks and lock both of us in? Terry had to climb over Logan in the back and go out his door. All the while there was a snowplow on our street trying to plow the snow right in front of our house while we're trying to get out and move the car out of the street. Jeebus! - when we get inside, Terry calls his mom who is visiting to ask if she can pick me up and drive me and my stock to the craft show the next day. She agrees. After that terrible, horrible, no good very bad day, I went to bed. But then realized that I hadn't eaten anything since 11 that morning, so I ate some soup at 10:00 pm. The next morning had to be better don't you think? - 7:30 on Saturday morning a two truck comes to pick up the car. - 8:00 my ride arrives. Terry packs my stock in the trunk of her rental car. - 8:10 I go to get into the car. Locked. In fact... all the car doors are locked! With the keys and my stock inside! An hour and a half later, after phoning the rental company who transferred us to somewhere in the States, we finally get the keys and the stock out of the car. At least the organizer of this craft sale was awesome and found a last minute replacement to vend at my table. That made me feel a little better. And yes, it took me this long to recover and feel ready to write about this terrible, horrible, no good very bad day. It was that traumatizing. Next up: My fate improves and I have a great time at the Sunday craft sale! Jeebus indeed! I'm surprised you're still around to tell us about it. awww! what an adventure! hope all is back to calm normal at your house!! I have a message for the webmaster/admin here at tawnykw.blogspot.com. Thanks everyone! The weekend did improve a lot by Sunday. And this week hasn't been quite as bad. It is my birthday tomorrow so that's awesome!